Home » Blog » “He Loves Me, He loves Me Not” – Ten Signs as to Whether He Does or Doesn’t! You may have a boyfriend but how do you know if he is really ‘the one’? Someone who truly loves you and will stick with you through thick and thin for the rest of your life! Now we are going to take a look at ten signs that will give you a good idea if this is true love or not. First of all we will take a look at some of the signs that show he really does love you. Does He Want To Make You Happy? Although men don’t like to be nagged or pressurized into doing something, if they really love their woman, they will go out of their way to make them happy. If he knows what makes you happy or if you tell him something that will really make you happy, then if he does it or arranges it for you, then you know that you are onto a good thing. Make sure that he feels appreciated for doing it, though! You know that things are looking good if he starts talking about things such as going away on holiday together or attending important family occasions together. He may even start talking about moving in together or even marriage! If this is the case, it shows that he is not considering a future without you in it. This is a big step for any man, introducing his girlfriend to his family and friends. Do not under-estimate how important an occasion this is for him and for you. It shows that he thinks a lot of you and wants their approval of his choice. Once you have both stepped over this mark, then things are getting serious, for sure. It could be that before he met you, your man may have had several women on the go at one time, even if only chatting or flirting with them. You will know that he is serious about you, when he only has time for you and is keen to speak to you as much as possible. The other women will no longer be important to him because he only has eyes and ears for you. He Will Do Things For You, Even If He Is Not Too Keen On It. When you are single, then it doesn’t matter what you do and when. You are your own boss and, to a certain extent, you don’t need to consider anyone else. This change once you have a partner and if your man thinks a lot of you, he will always take your feelings into consideration and even go that step further and do things for you that he otherwise wouldn’t think of doing, just to make you happy. Now it’s time to take a look at the other side of things and maybe re-assess! This is fine if it works both ways and you are both happy with the situation. If, however, you are looking for something more serious and this is basically the only contact that you have, then it is time to look elsewhere. He is not serious about you and is probably only using you. If he openly admits that he is not looking for a relationship, then fine. At least he is being honest with you and you know where you stand. You can now make an informed decision whether to stay or go. If you are looking for a serious relationship, then it is advisable to go because you are unlikely to change his mind. Never mind making plans for the future, this guy won’t even make plans for next week! He is not interested in planning a date or any of your time together. If you didn’t do all the work and arrange nights and days out together, then you would probably spend all your time sitting at home, watching TV. If you find yourself in this position, where everything is left to you, then you might want to think again about what you are getting from this relationship. If, after a little while together, you still haven’t been introduced to either his family or his friends, then you know that something isn’t right. This is another sure sign that he is not serious about you and, again, you need to start asking yourself questions about where this relationship is going. When you have been together for some time, then there should be some sort of discussion about your future together. In the worst case scenario, your man will not even discuss going on holiday together or even attending a family occasion together. Then you will know that he is not looking that far into the future and that it is likely that the future does not include you. Once again, it is time to re-assess! So, there we have it. 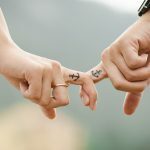 These ten signs should give you a good idea as to whether you have a man who genuinely cares about you and quite probably loves you, or if you are with someone who is not really that concerned about your feelings and welfare and who definitely does not see you as the love of their life. If it is the latter, then it is seriously time to move on because you deserve so much better. It may be painful for a little while but you will soon see that there is someone else out there who is right for you and it will have been worth not settling for second best!